The Audiovisual Producers’ Association of Greece (SAPOE) is a non-profit organization. It was established in 1975, and represents Greek companies active in the production of films, television programs and new media. The Association’s members have high expertise, highly qualified human resources, develop synergies for co-productions and provide production services to foreign productions filming in Greece. Film productions and co-productions by members of the Association have participated in international film festivals. The Association, using the position held by its members in the market of the domestic audiovisual industry, is the representative body of Greek producers and the discussant of the audiovisual industry with other institutions and government bodies. 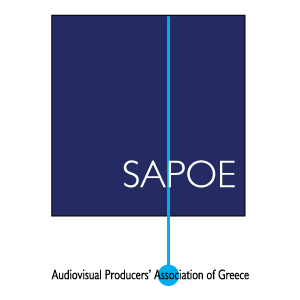 The constant presence of SAPOE as the directly concerned representative organization of producers aims to highlight the contribution of the audiovisual industry to the national economy, culture and to promote our country’s image.